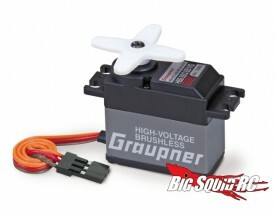 New Schumacher Graupner/GM Brushless Servos « Big Squid RC – RC Car and Truck News, Reviews, Videos, and More! The peeps over at Schumacher have had all kinds of new stuff rolling out over the past two weeks. 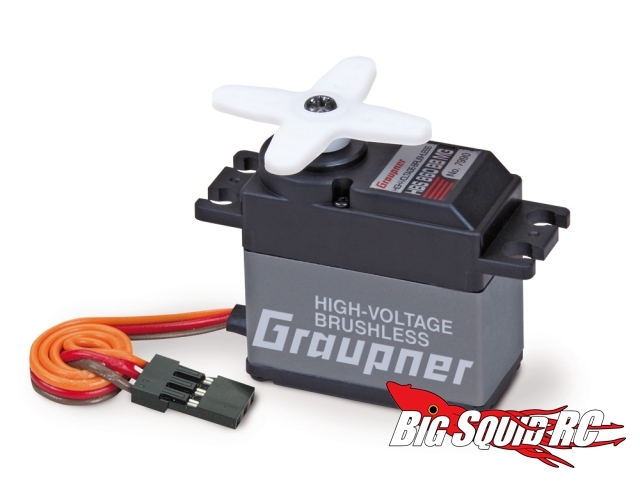 Their latest release are some new Graupner/GM High-Voltage Brushless Servos! HBS for short, these servos combine the peformance you get from a brushless motor with lots of power to really kick some tail. These servos can actually be supplied up to 8.4V! That means you can hook a 2S lipo directly to your servo. That’s just…crazy! There are three models avaliable at this time of this writing. The GM7990 HBS 860 BB MG is perfect for 4WD off road, the GM7991 HBS 870 BB MG is suited for 2WD off road, and the GM7987 HBS 790 BB MG is good for touring cars and other small space applications. Be sure and check out the Schumacher website to get all the specs and details on these bad boys!